As someone who is not particularly neat on their own, organisation does not come naturally to me. That being said, I still crave a space that is tidy so my place looks nice and I know where everything is. In my quest for tidiness, I have purchased many items meant to keep my space more organised and make my life more efficient. An organised space not only looks great, but it alleviates stress and can make a small space appear larger. 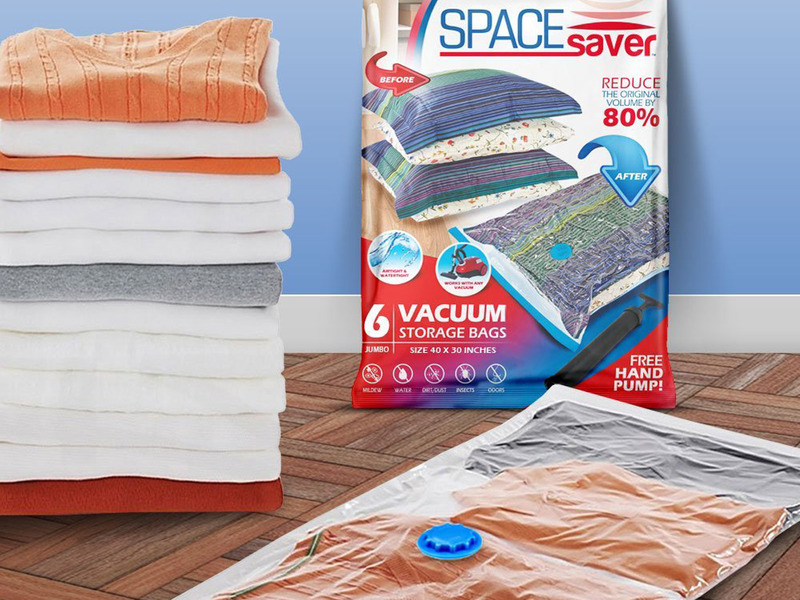 There are so many products out there to help you keep your home neat, so you just have to find what methods work best for you and your space. Organizational tools can do wonders for your home, but you shouldn’t have to spend a fortune to stay neat. That’s why we compiled this list of affordable, easy organizational solutions. This step style kitchen shelving rack elevates your spice collection, so you can actually see what you own. 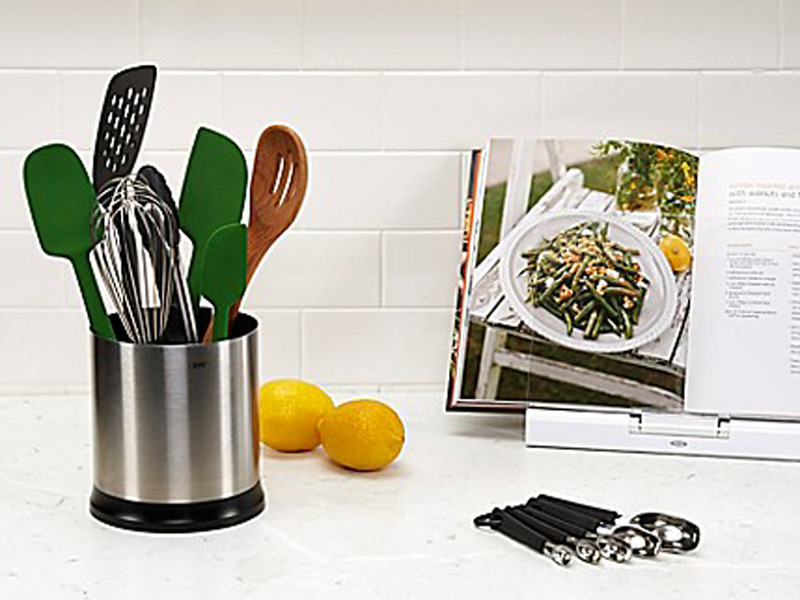 It can be left on the countertop, but also fits well in most cabinets. 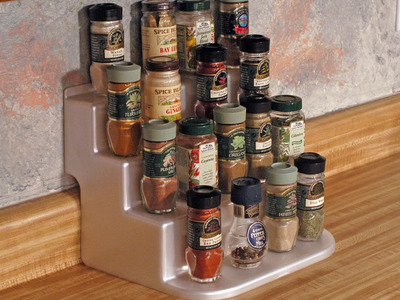 If you don’t have many spices, this piece works well for holding vitamins and medicine as well. A pile of writing utensils on your desk is not only impractical, but messy. 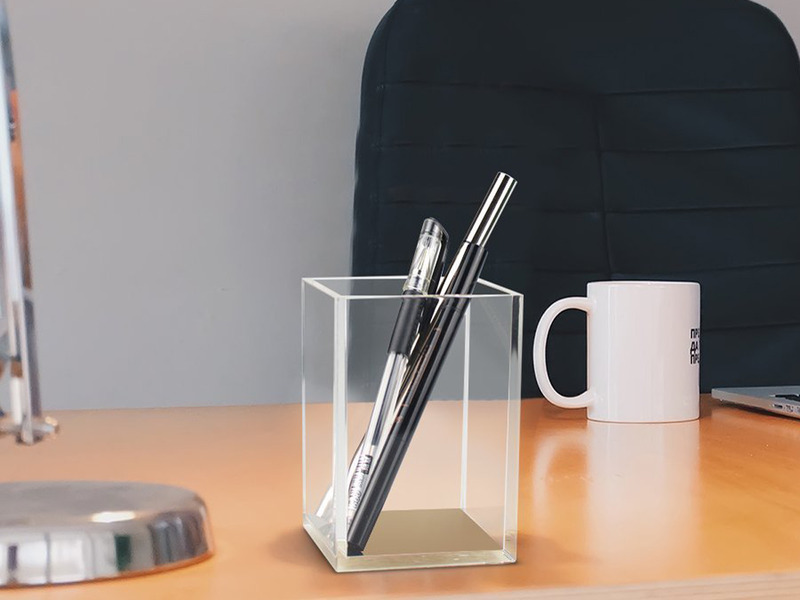 Keep your pens and pencils corralled with this acrylic container. It’s clear, so you know what you’re getting before you grab it and it goes with just about anything. 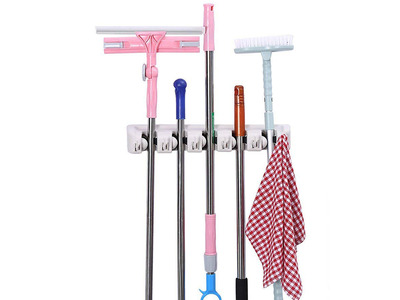 Don’t let bulky cleaning tools like mops and brooms make a mess in your space. 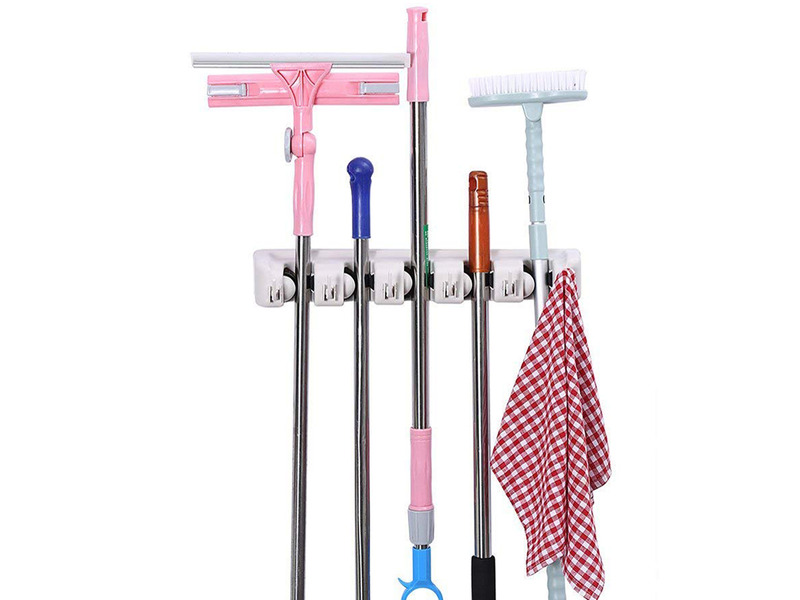 This simple organiser can hold five larger tools and has six hooks to hang smaller cleaning supplies. 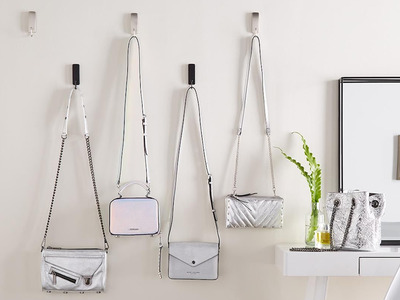 The whole organiser can be easily mounted to the wall. 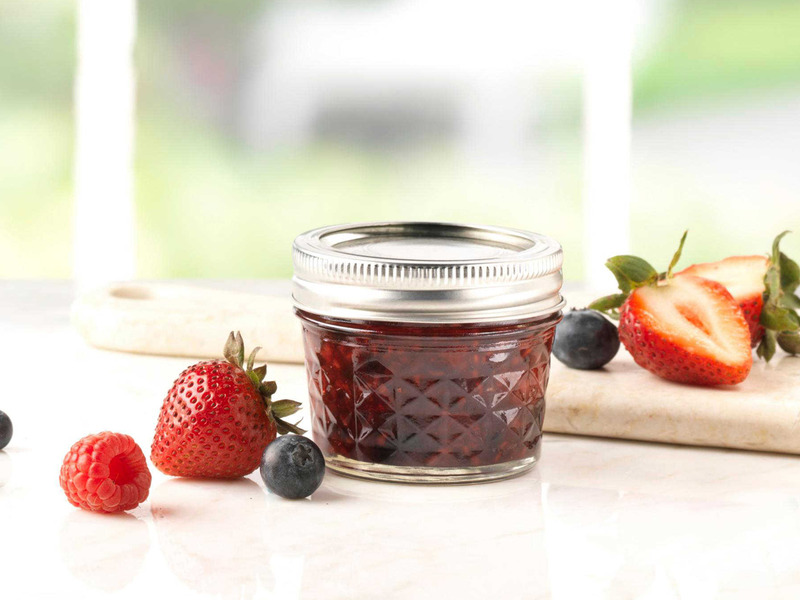 These jars be used for a variety of purposes beyond storing jelly. You can use these in the kitchen to store spices or small foods like nuts and seeds, but they also function as great containers to corral small desk supplies such as pushpins and paper clips. Keep your cutlery drawer free of clutter with this simple bamboo tray. 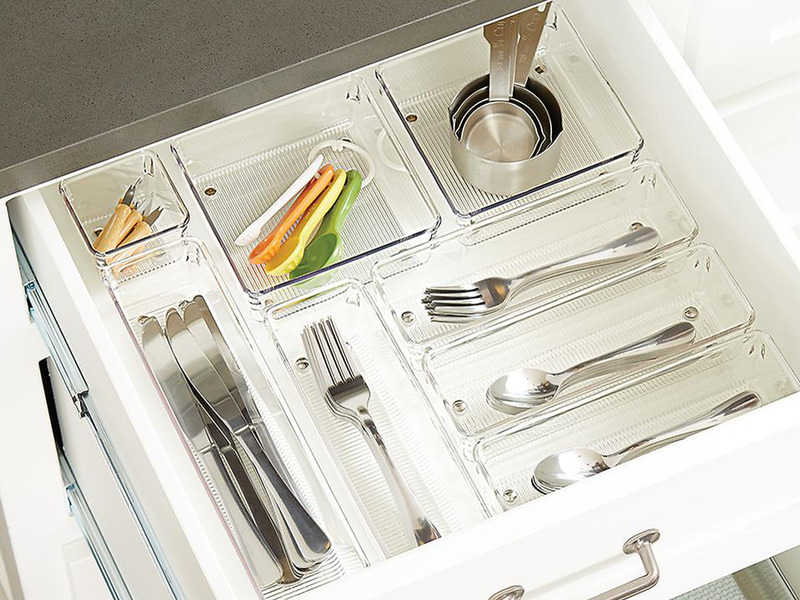 Place this tray directly into a kitchen drawer to keep your flatware neat and visible. 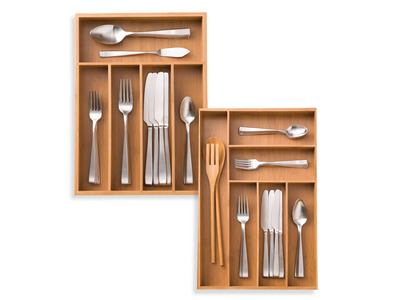 It has roomy storage slots that can fit a variety of sizes of knives, forks, and spoons. If you have a lot of shoes, it can be a mess trying to figure out where to store them. 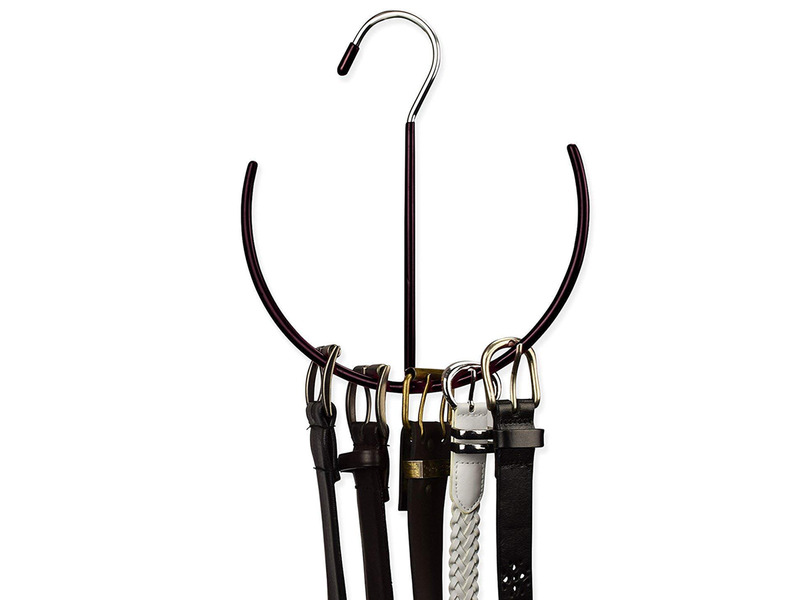 This basic organiser hangs over your door and has 24 pockets, which means it can hold plenty of your favourite pairs. It is a great way to save space and keep your shoes organised and clean. Decrease clutter on your counter by giving all of your bathroom essentials their own place. 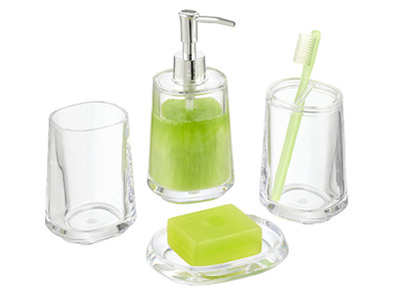 You can purchase this soap dish, toothbrush holder, soap dispenser, and tumbler as a set or on their own. 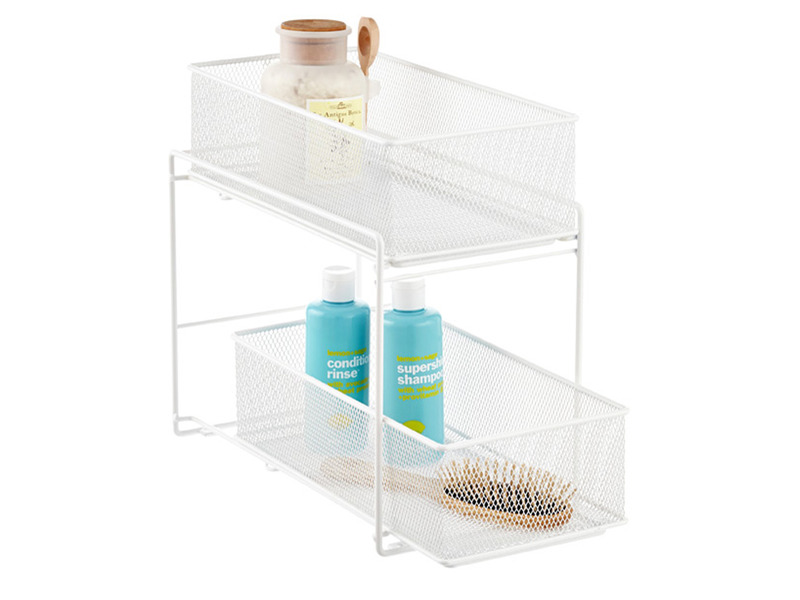 These are sturdy, easy to clean, and the clear plastic will look nice in any bathroom. 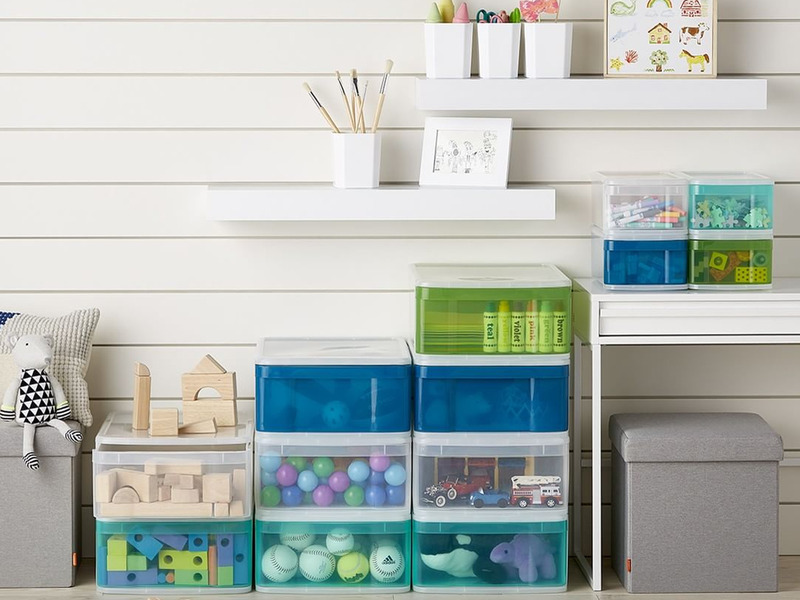 A great way to stay organised is to turn dead space into additional storage. 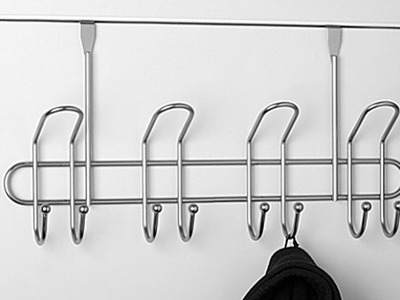 This rack adds at least eight hooks to your space, more if you get creative. It fits right over your door and is sturdy enough to hold heavier items like jackets. 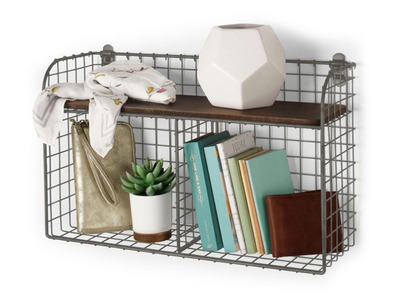 I use one of these racks to hang my towels and bathrobe, but I think this is also a great place to put bulkier items, like winter coats, that can take up a lot of precious closet space. 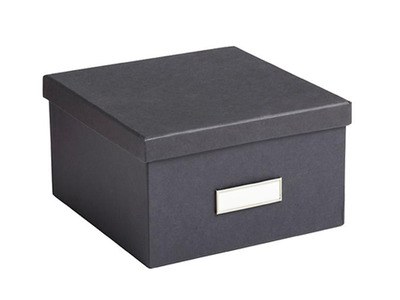 As someone who strives to be more organised, storage boxes are one of my favourite products. They seamlessly contain my messes and make my room look much more organised, even if it’s not. Maybe putting my random knick-knacks into a box isn’t being truly “organised,” but it gives all of my belongings a place to reside, which is a win for tidiness in my book. These boxes are meant for photos and have six dividers inside to help you organise your pictures if you so choose. You can easily use these boxes to store recipes, any files, or other small goods, just add a label so you know what is where. If you own any makeup, you know how unsightly these products make your surfaces; they topple over, they roll, sometimes they even spill. 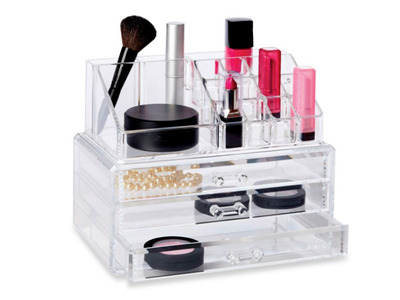 These cosmetic organisers are great for storing makeup because they have a range of storing spaces that accommodate your makeup brushes, products, and any other cosmetics. You can also use these to organise small office supplies. I can’t say enough good things about command hooks. In college, I always kept some extra command hooks in my drawer just in case I needed to hang any more items. 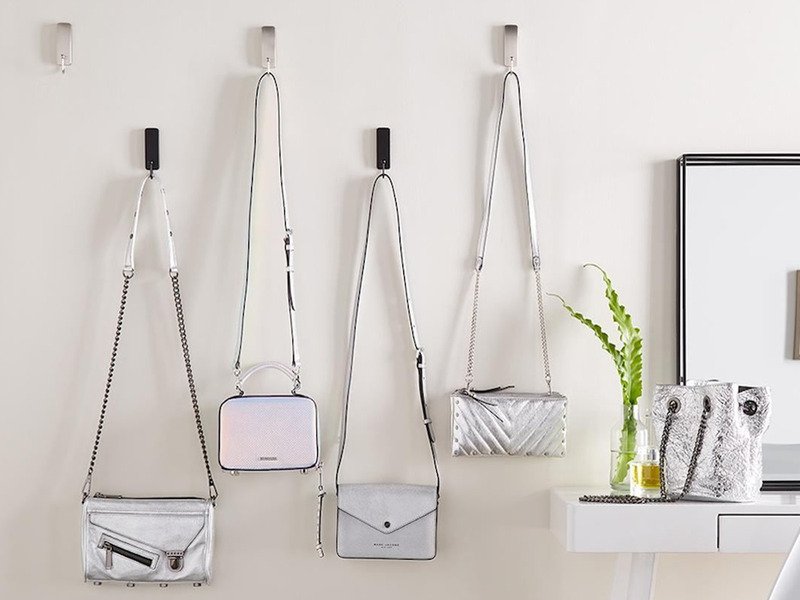 Command hooks are easy to apply, won’t rip the paint off of your wall, and allow you to conveniently hang things wherever you want. They come in a variety of sizes and colours, but I like these stainless steel ones because they look a little more sophisticated than average plastic. Under the sink is a great place to store products you don’t use often, but it can easily become a mess, making it difficult to find that extra tube of toothpaste or roll of toilet paper. 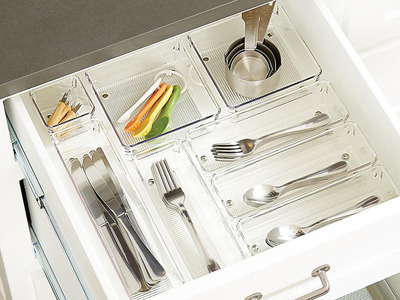 The drawers on this organiser slide out, so you don’t have to rifle through a mess of products to find what you need. I love produce, but I hate (my current method of) keeping it in random bowls around the kitchen. It adds a lot of clutter and you end up forgetting what food you actually have on hand before it goes bad. 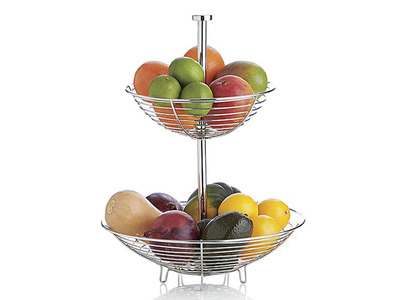 With two tiers, this fruit basket gives you some vertical storage, removing the clutter from your countertop and keeping all of your produce visible, so hopefully you can waste less food. 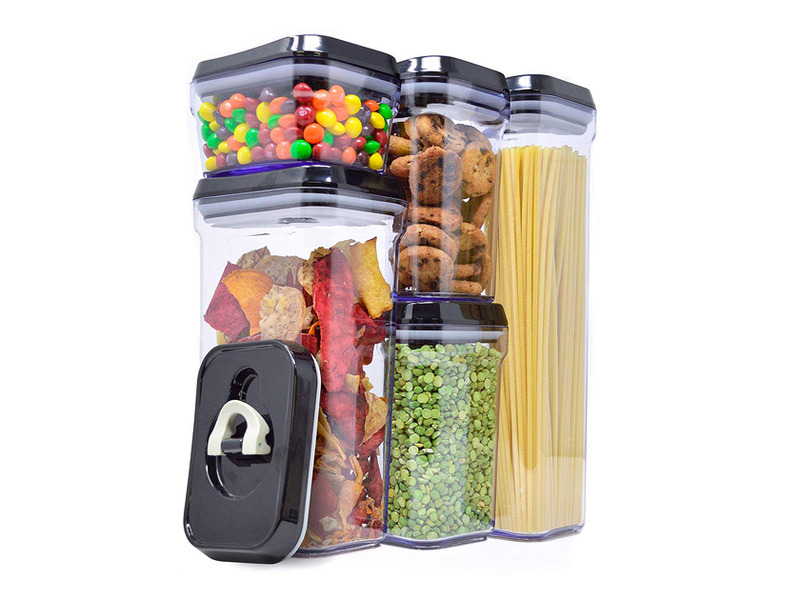 Another great option for airtight food storage. These premium quality, matching containers allow you to rid your cabinets of irregular shaped cans and boxes in favour of a more streamlined storage system. 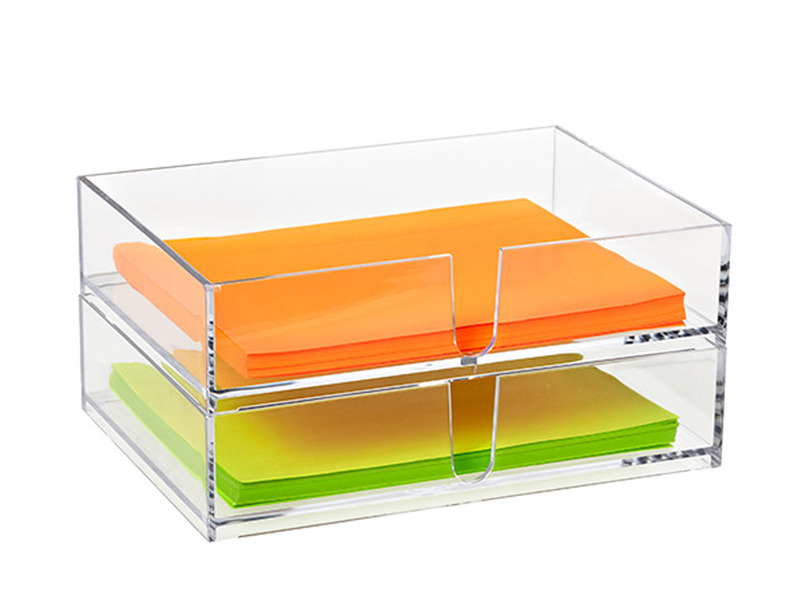 They are an affordable solution to make your daily life more organised. Storage boxes, storage boxes, storage boxes. As someone who is not neat by their own merit, storage boxes are one of the things that I credit with helping me stay organised. Because they are not made to fit a specific item, you can put anything in these boxes. 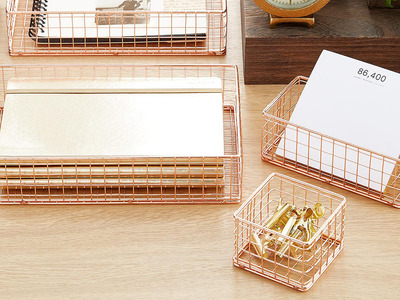 These ones are nice because they can fit in your drawers, but also will look good if you choose to leave them on your desk to organise paper goods and office supplies. 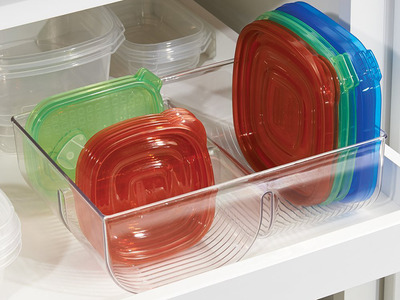 If you have a lot of food storage containers, you know how easy it is to lose these lids. This organiser holds your lids so you don’t have to spend unnecessary time trying to figure out what lid goes with which container and vice versa. 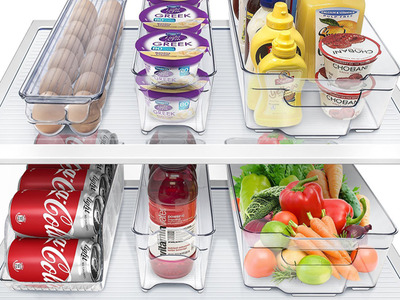 Give everything in your fridge, or freezer, a place with these simple plastic bins. 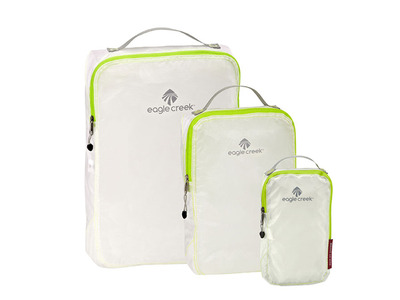 This set comes with a few different sizes shaped to hold eggs, cans, and bigger items like condiments and produce. Without a bookshelf, I let my books pile up on my desk until the pile is unstable and then I must resort to moving this pile to the floor. This is a bleak set-up and adds an unnecessary mess. 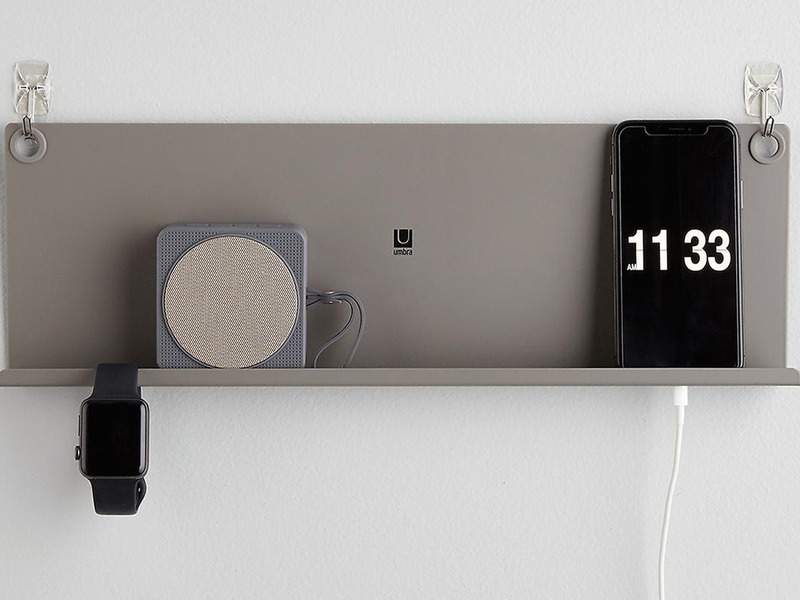 This little shelf is a great solution that turns any wall into a bookshelf. It’s a simple wooden plank, but the bookend structure on the sides mean your belongings will stay put. 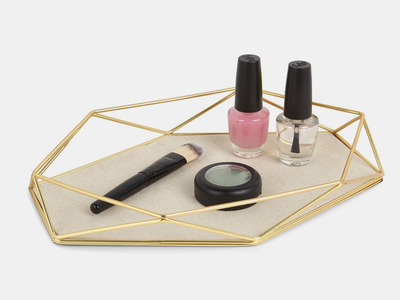 This metal tray has a cool geometric design that adds a nice accent to a coffee table or nightstand. Other than looking nice, this is a very practical piece. The linen surface means it is soft enough to hold more delicate belongings, like jewellery, but you can get creative and use this to hold other things, like the mail. These organisers can fit any drawer that’s about 4′ deep and they can expand from 12′ to 18′ long. Place these in your drawers to help separate and categorise your clothing. These will help everything stay folded, so you don’t end up with a giant messy pile when you open your T-shirt drawer. 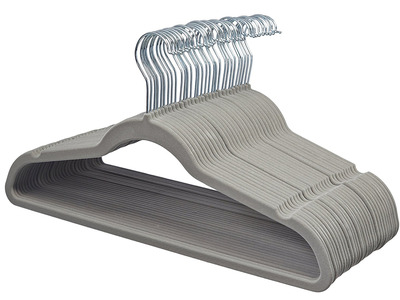 Once you try velvet hangers, you will never want to go back to wire or plastic again. These are thin, so they take up less space in your closet and unlike cheap plastic, the velvet texture keeps your clothing from slipping off the hanger. I love that these drawers are clear because I can easily see what’s inside each box. The drop-front is also great because I can get what I need without the mess of unstacking boxes. Plus, these stack onto each other easily, so you can stack them up pretty high without worrying about stability. While these are made for shoes, I’ve found that they also work well for holding other accessories like bags and scarves. 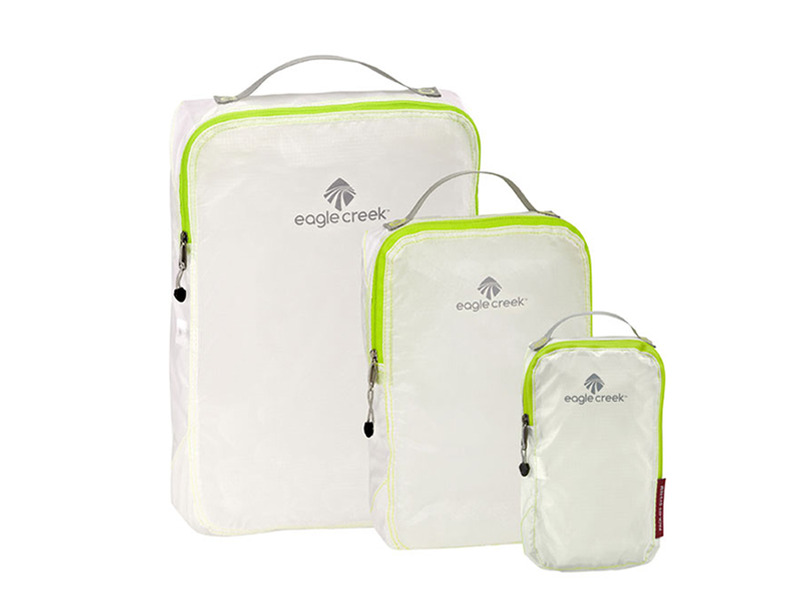 If you’re on the road, these packing cubes will help you maximise your space and minimise the mess. Pack your clothes into these cubes instead of straight into your suitcase; you will be surprised how much space it saves and how easy it is to get your things when you actually know where they are. While these are meant for travelling, you can utilise them when you’re home too to store clothing or other items you don’t wear or use often. 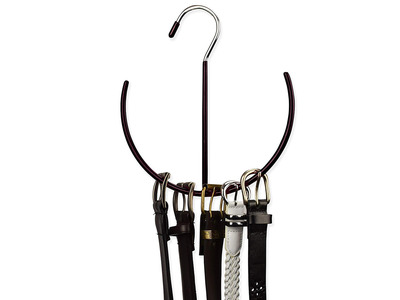 This semi-circle hanger is meant to keep your belts handy. Since it is only one hanger, it won’t take up much space in your closet, but it can hold plenty of belts, probably more than you even own – unless you own a lot of belts, but in that case, you can get two of these. Don’t be the person that leaves their toothbrush laying on the bathroom counter. 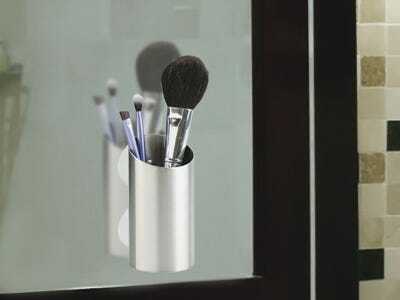 Instead, grab one of these easy toothbrush holders that suction right onto the wall or mirror. You can put this right next to the sink, so your toothbrush is ready available when you need it. It can also fit a tub of toothpaste and even a pack of floss, so you have everything you need to clean your teeth in one spot. 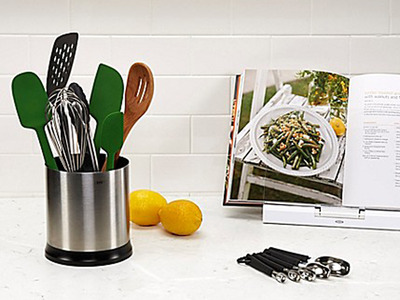 A variety of large kitchen tools usually is not compatible with shallow kitchen drawers. Put one of these on your kitchen counter to save drawer space and have all of your tools accessible while you cook. 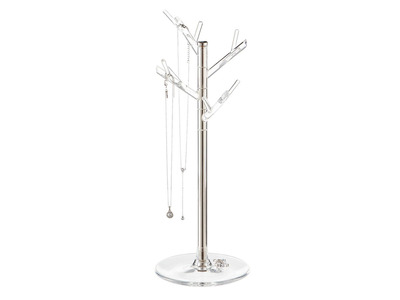 This one even rotates, making it even easier to locate your items. These simple bags are a major space-saving hack. They compress big piles of clothes into flat, easy-to-store bags. 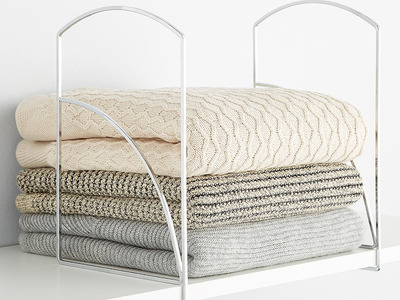 If you live in a dorm or a small apartment, these can do wonders for your space. These simple jars are great for storing fresh foods and dry goods. They use bail and seal closures, so you never will misplace the top, but most importantly, this makes them airtight, so your food is safe from perishing. 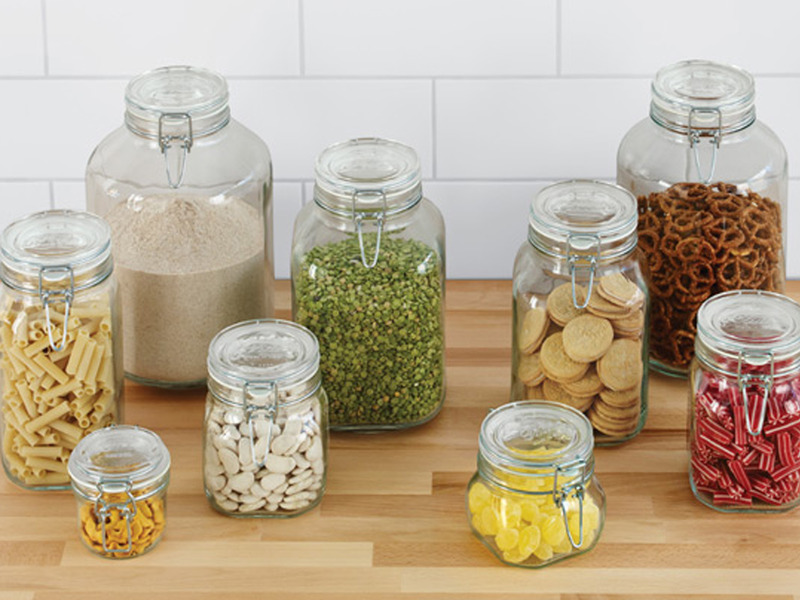 Beyond food, these jars are great for storing and displaying arts and crafts supplies. 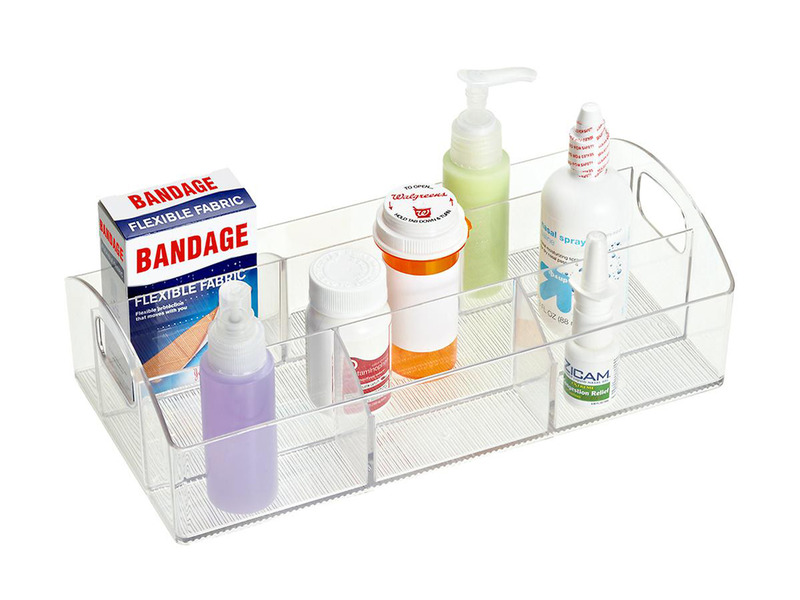 A medicine cabinet holds some of our most important items, but with so many boxes and bottles it can be hard to find these really important products when you need them. This simple cabinet organiser adds some order to keep your medicine cabinet clean. The side handles also make it easily transportable. 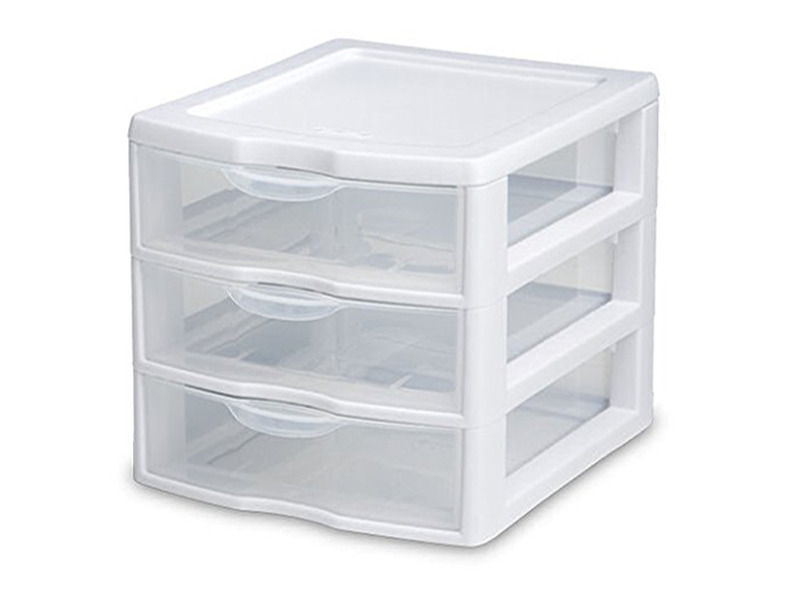 These plastic drawer organisers are shallow enough to fit in most drawers. They come in a variety of sizes to hold all different sorts of items. 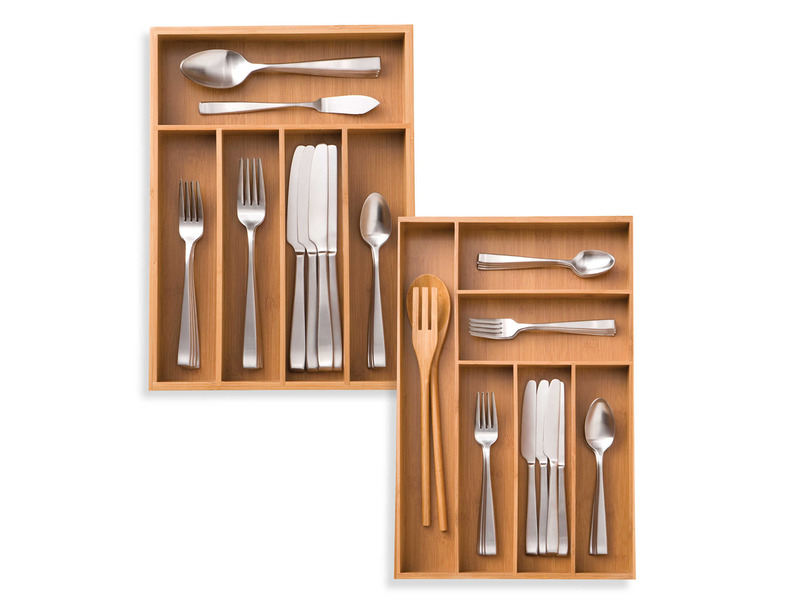 Whether you need organisation in your kitchen, bathroom, office, or bedroom, this set will have the right sizes to fit in your drawer and keep it tidy. While not the most beautiful piece of furniture on this list, this cart is so practical. 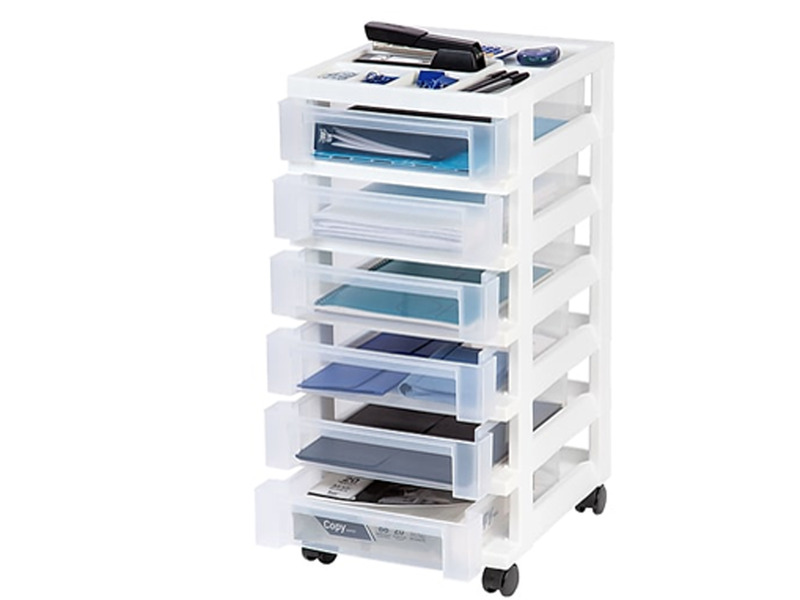 With six drawers, you can easily store a multitude of items and organise them by category, purpose, etc. At only one foot wide, this won’t take up much space horizontally, but it is over two feet tall so it gives you plenty of storage. Plus, the wheels allow you to easily move this cart whenever you need to. These storage bins are made of soft cotton, giving them a comfortable, homey look that will fit well anywhere in your home. 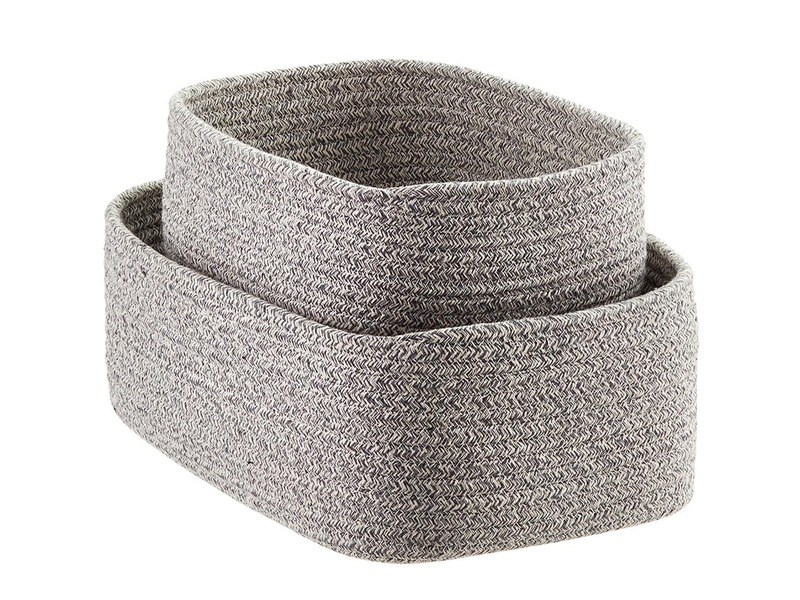 While soft, they are sturdy and can hold anything from blankets to hard plastic toys. After spending time folding your clothing, there’s nothing worse than watching the perfect piles topple over and turn your closet into a mess. These metal dividers slip right onto any shelf and help make sure that your folded clothing stays folded. Keep a corkboard in a visible area so you can post important files, memos, and anything else you don’t want to forget. 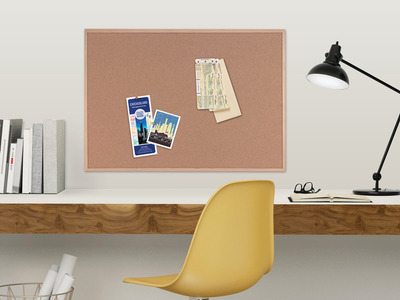 You can also pin on photos and other mementos, so it looks like a nice display piece on your wall. Compartmentalise all the items in your pantry with these small, clear bins. 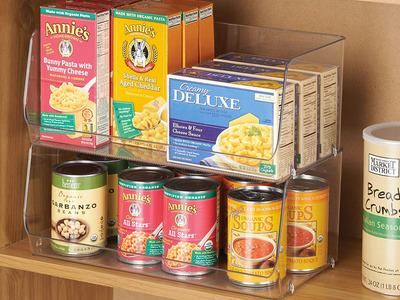 They stack right on top of each other to maximise pantry space and keep your dry goods from toppling over. By the end of the week, I tend to have a pile of shoes accumulated near my front door. 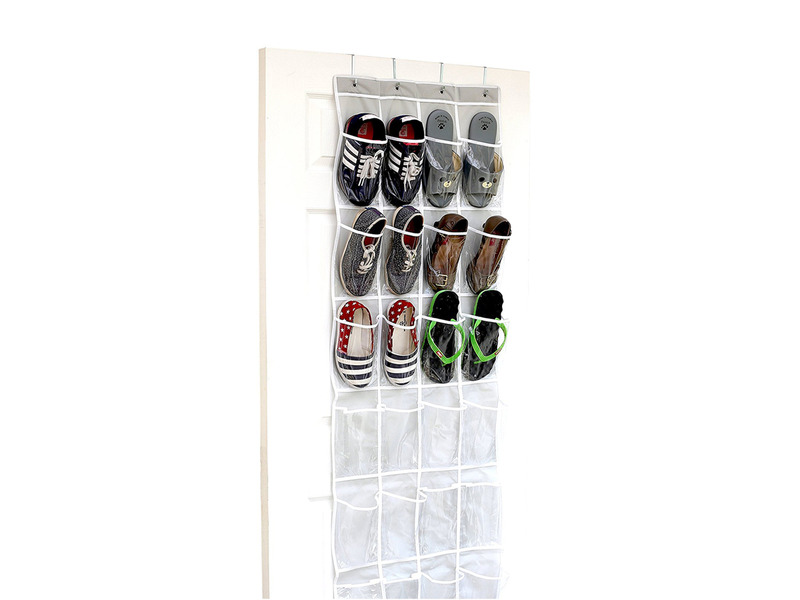 A simple shoe rack like this allows you to keep the shoes you wear often visible, accessible, and most importantly, organised. Having one of these around will also hopefully decrease that dreaded week-end shoe pile. It seems like there’s never a good place to keep your things in the shower. Even if you do have a ledge to put some belongings, it can get slippery and make everything fall. 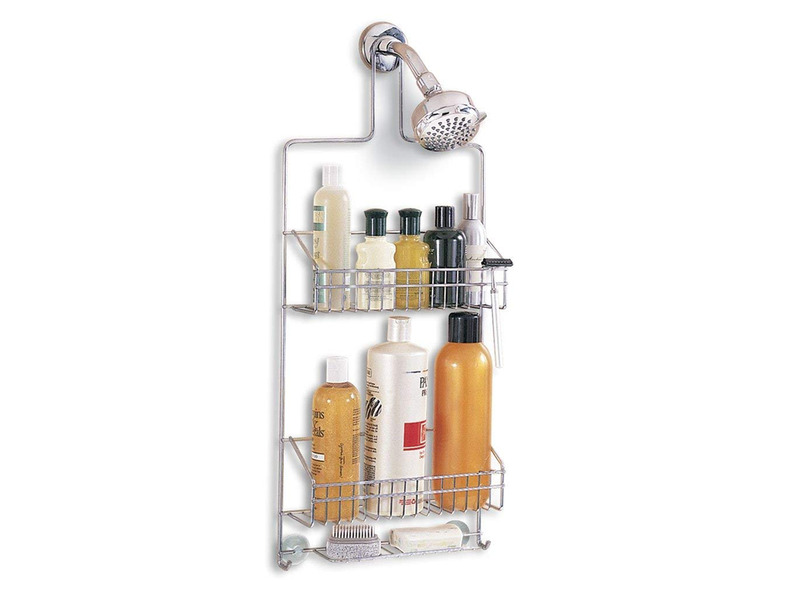 This caddy slips right over your showerhead for easy storage that will stay put. A dish rack is a necessity for any kitchen, but it’s hard to find one that doesn’t leave a puddle on your countertop after leaving wet items out to air-dry. 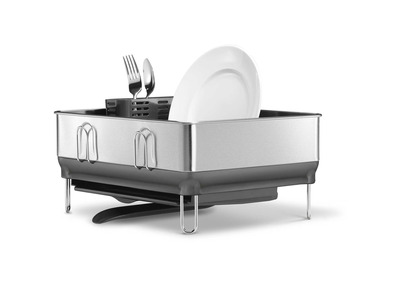 This dish rack has all the regular stuff – room for dishes and utensils – but also has a swivel spout so you can funnel all that dirty water into the sink and not onto your kitchen counter. This small set of drawers can be used to store and tidy almost anything. Leave it on your desk to organise office supplies, in your medicine cabinet to organise toiletries or even in your pantry to hold extra kitchen supplies. 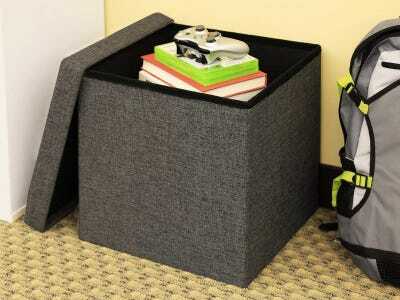 To keep any space looking tidy, go for multi-purpose furniture that functions as storage as well. These look like your average ottomans, but you can remove their seat to reveal a storage bin with a solid amount of space. Your desk can quickly become a messy pile of papers if you don’t have any file storage. This acrylic letter holder is an easy place to keep all of your papers. This model can be stacked on top of one another so you can maximise the desk space you have, all while providing more storage. Don’t let your technology become a tangled mess of cords and charging cables. This basic metal shelf can be hung above an outlet to hold your electronics. The bottom of the shelf even has holes for your chargers so they stay tangle-free and your devices won’t fall off the shelf. 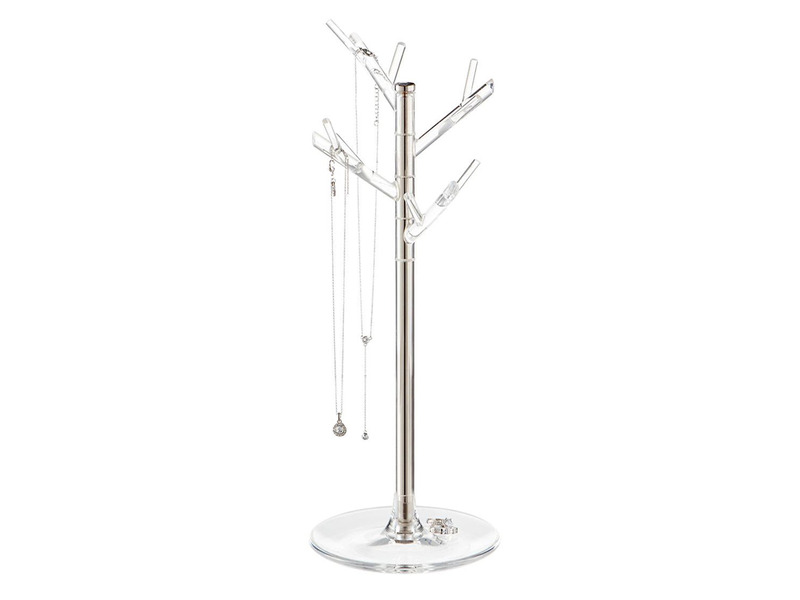 This jewellery stand is a nice way to keep all of your jewellery tangle-free. The branches, which are perfect for necklaces and bracelets, can be moved around so your pieces don’t get tangled and the base is a great place to keep earrings and rings. 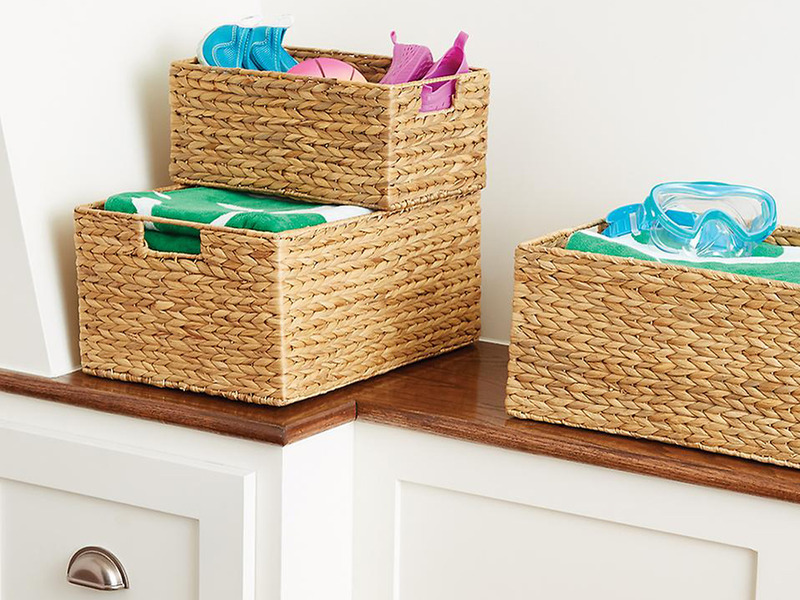 These storage bins add easy organisation anywhere you need it. 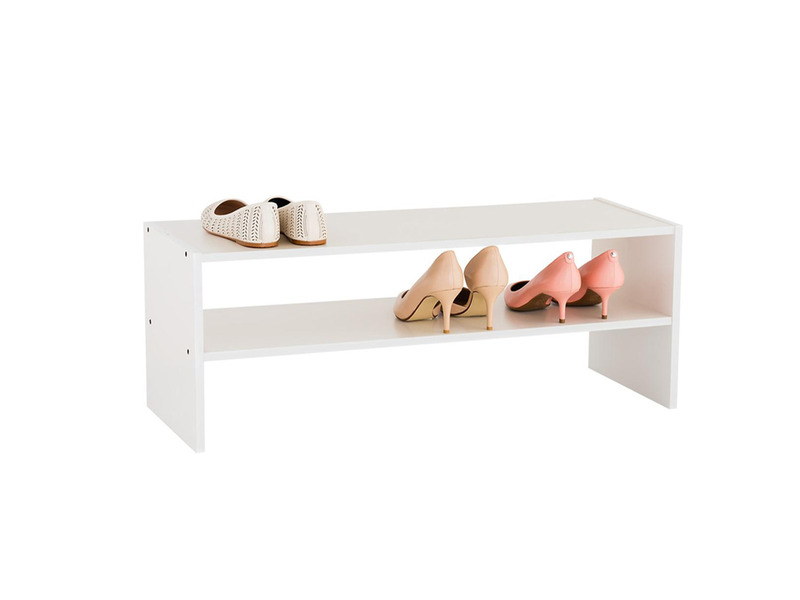 They are sturdy enough to hold big items and the neutral colour matches any interior. 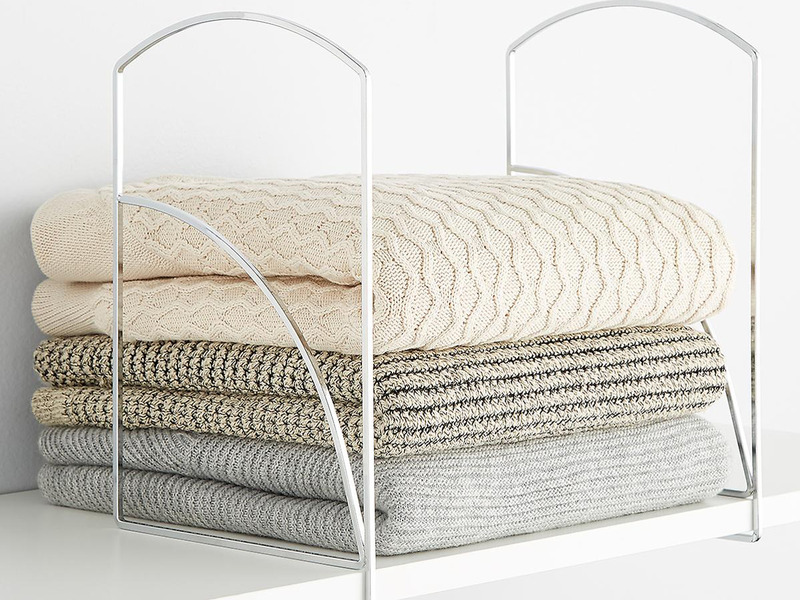 Put these on a shelf in your closet for easy access to accessories and linens. 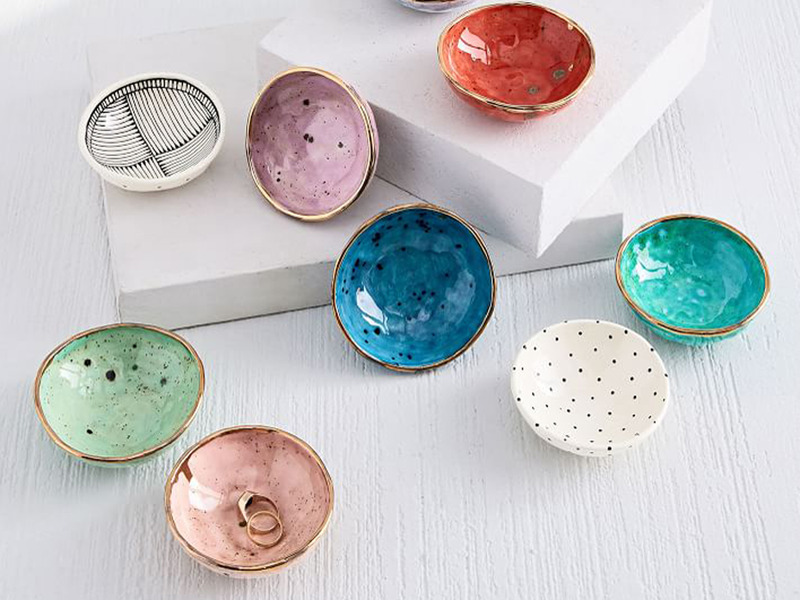 A small, ceramic dish makes a great catch-all. Leave one on your bedside table or in your entryway to collect keys, small jewellery, or any other small trinkets you might have. Save space in your kitchen cabinets with this wall-mounted rack for your pots and pans. 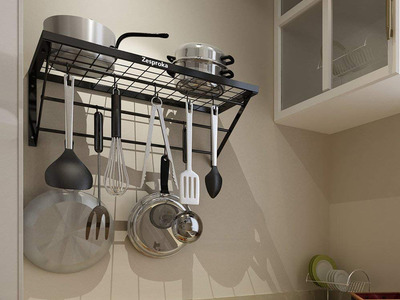 Saucepans and pots with lids stay on the top rack while skillets and other cooking utensils hang from the hooks. This not only saves space and looks tidier, but it keeps all of your pots and pans easily accessible for cooking. 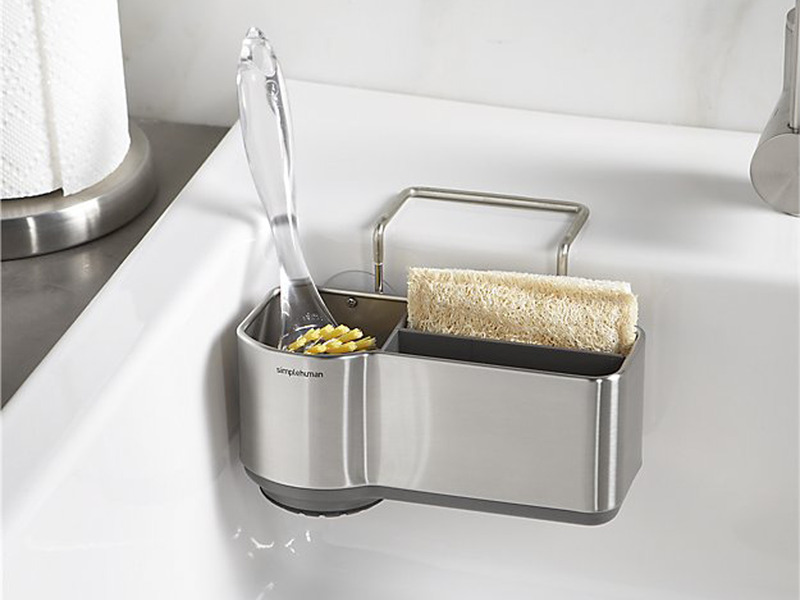 Like most others, this sink caddy slips over the ledge of your sink and suctions to the side. It fits sponges, but it also has a silicone brush holder that pops out to accommodate larger scrubbers. If you don’t have much closet space in your bedroom, I highly recommend under-bed storage. These boxes from IKEA have ventilation nets in the corners so your clothing can air out even while being tightly compressed. 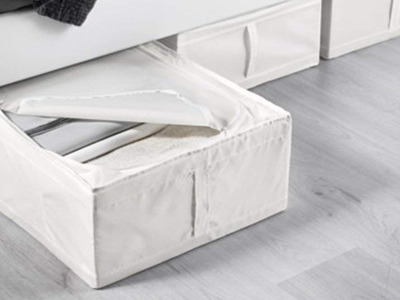 If you don’t need or want storage under your bed, you can just as easily use these boxes as organisers within your closet. This bathroom shelf is so simple, but gives you so much added storage. 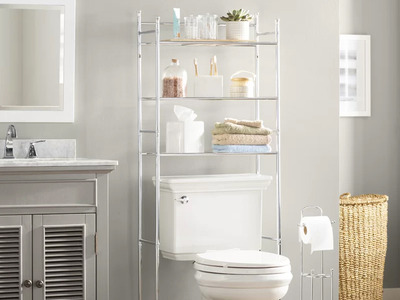 It is meant to fit around a toilet and adds three shelves worth of space to your bathroom. 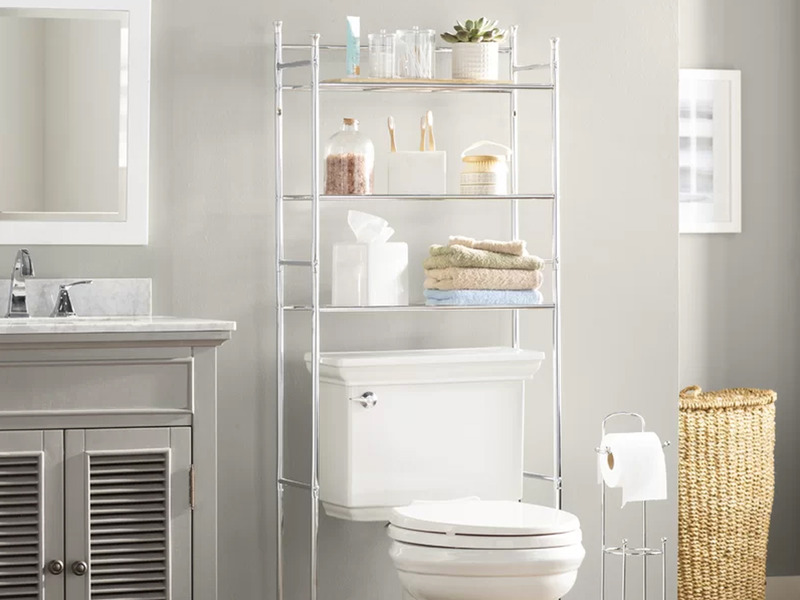 A great, affordable piece of furniture you have limited storage in your bathroom. A bedside table is a great place to keep books, devices, and other knick-knacks that never seem to have a place in your room. 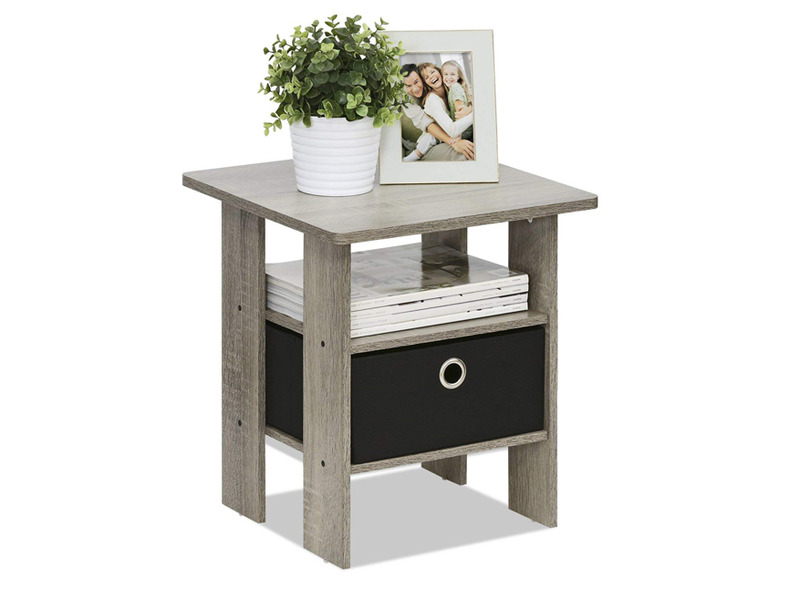 This nightstand has two surfaces to store items, as well as a storage box that is built-in, for items you would rather have hidden. While small, people rate this one well on Amazon for its affordability and convenience.